There’s nothing quite like a wedding day for the unexpected to happen. After photographing hundreds of weddings, we’ve seen just about everything…missing best man’s pants, hair that had to be re-done, forgotten undergarments for the bride, transportation delays due to weather, missing buttons, ripped hems, shoes that don’t match (oops), lost wedding party members, really, anything you can imagine might happen just MIGHT HAPPEN! Also, moving groups of people is a lot slower than you think. When you build in an extra 10-15 minutes here and there into your schedule, you won’t have to panic when the unexpected happens. ANYTHING that makes your wedding attire special! We’ll spend about thirty minutes creating beautiful images of the things that will make your wedding day unique to you. When these items are all gathered together in advance, we can spend our time being creative instead of going on a hunt for each item. Make a list of the things that are extra special to you and put someone in charge of gathering those items on your wedding day. The next thirty minutes we’ll photograph the bride getting ready, those laughing/crying/dancing moments that you’ll want to remember! Make-up should be almost finished and hair should already be done. The bride and bridesmaids can be wearing their matching robes or comfy clothes for this part of the photography day. Family members can be part of the fun! When we leave to go photograph the guys, it’s time for the bridesmaids and mother of the bride to finish getting dressed and ready. Don’t forget to straighten up the room – who wants to see a pile of clothes in the corner when the bride is getting into her gown??? Everyone but the bride should be dressed and ready when we circle back in 20-30 minutes. We’ll next go find the groom (he and the groomsmen should be completely ready when we arrive with boutonnieres already pinned on). We’ll create a portrait of the groom, some fun group shots with the groomsmen, and his family who are with him. Do the groom and groomsmen all have sunglasses? Those can make for fun pictures. Don’t forget colorful socks, etc. This is a great time for some candid images of the groomsmen with his parents or other special family members. We’ll photograph important details such as cufflinks, groomsmen gifts, etc. This usually takes 20-30 minutes UNLESS the groom is getting ready in a completely different location…then it’s good idea to add some extra TIME to the schedule. After we finish with the guys, it’s back to the girls. Everyone but the bride should be completely ready, including the bridesmaids and bride’s mother. We’ll photograph the bride putting on her gown with all of her attendants helping. Mom or the maid of honor usually wants to do the final zipping or bow tying. This is a great opportunity for candid images of the bride with her parents or other special family members like grandmothers. 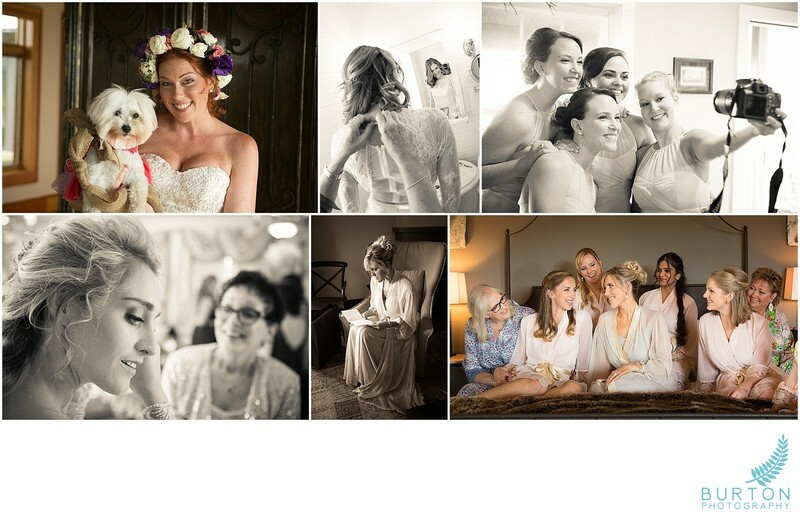 We’ll create images of the bride putting on her wedding jewelry, a portrait of her by herself and fun images of the bride with her bridesmaids. Some couples want to get the family formals “out of the way” before the ceremony. We are happy to work with your timeline whether we create those images before or after. Most often, the family portraits are being created at the ceremony site. We’ll need to be finished at a minimum of one hour before the ceremony when your guests generally begin to arrive. This means that EVERYONE is completely ready and family is gathered at the portrait location 90 minutes before the ceremony. If we are creating the family formals before the ceremony, we normally begin our coverage 2.5-3 hours before the ceremony time. If family formals come after the ceremony, our usual start time is 1.5-2 hours pre-ceremony. One factor that can have a big effect is whether the couple is getting ready at the ceremony location or time for transportation needs to be factored in. Don’t forget to add some cushion! While everyone is catching their breath for the rest of the day, we’ll photograph details of the ceremony venue, candids of guests arriving, program attendants, etc. We’ll photograph the groom’s final preparations and the bride as she makes her entrance…then the ceremony as it unfolds. We take a VERY respectful approach to photographing the ceremony. This is more about the promises that the two of you are making, and not so much about getting that close-up photograph! We use our telephoto lenses and work mostly behind the guests, and sometimes off to the sides. We are NEVER in the front where we might distract from the reverence and dignity of the ceremony. We don’t use our flashes. We have top of the line professional gear that can handle most low-light conditions. Family Formals are usually the least creative wedding photos but a very important part of the day where our experience and skills really shine. 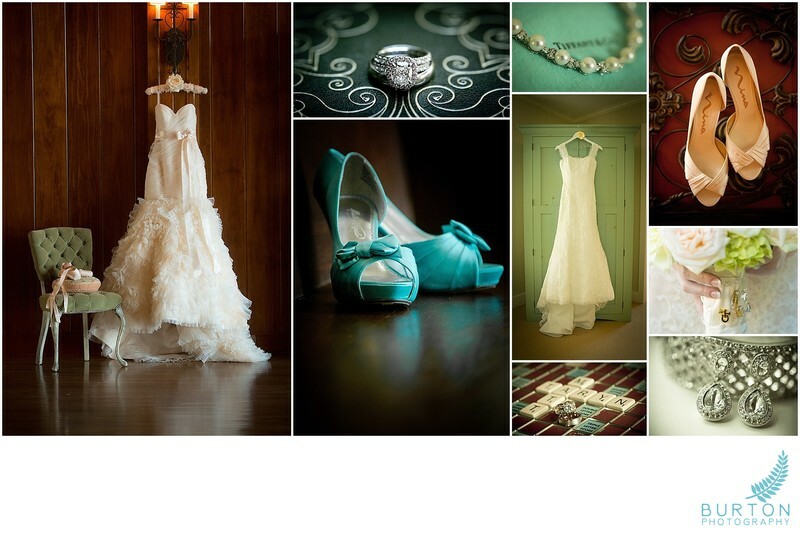 We’ll help you formulate a list of the portraits that you’d like to have created a few weeks before your wedding date. Everyone who will be part of a portrait should be told in advance where to meet – usually at the ceremony site. When a brother or aunt wanders off and someone needs to go hunt them down, you’ll be glad that you factored in some extra TIME. Our typical formals list has about 6-8 portraits on it but you’ll be able to tweak the list so that it’s perfect for you. Plan on about 30 minutes for family formals unless you add a lot of extra images. A good rule of thumb is that it takes about 3 minutes per portrait. 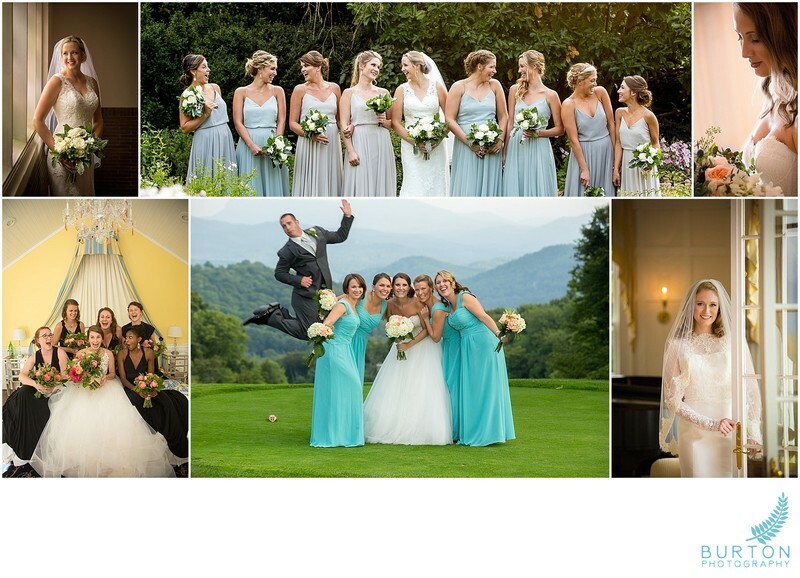 We’ll also create a group image of the entire wedding party. We're always happy to photograph the wedding party at the ceremony venue. 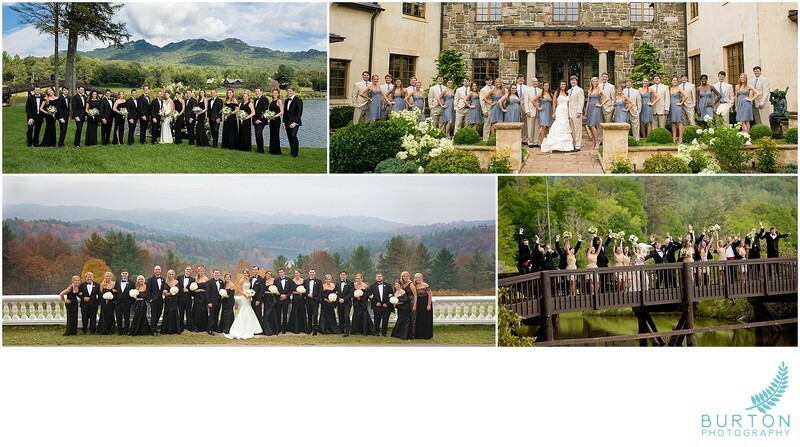 If you’d like to take your wedding party to a fun or scenic location ADD EXTRA TIME. This is our very favorite part of the wedding day. We love creating images of the Bride and Groom because from our experience, these are the images that are cherished the most. We’ll create portraits that are classic, looking at the camera (usually everyone wants a few of those) and then illustrative portraits that are more spontaneous and take into consideration the beautiful scenery or gorgeous church. Guess what? The more time we have for these portraits, the more beautiful portraits you’ll have to treasure long after your wedding day is over. We ask for a minimum of 30 minutes to work with just the two of you but we’ll spend as much time as you give us. If you are hoping for spectacular scenery in your photos, those won’t happen if it’s DARK. The opposite is also true. Do you know those unflattering pictures you see of yourself and friends where you have dark shadows in your face instead of eyes? That happens out in the mid-day sun with the sunlight coming from overhead. Especially in the Blue Ridge Mountains, it takes morning or evening light for the mountain ridges to take on that dreamy, blue-layered look. You’ll need to wait for the sun to sink in the evening sky to include that scenic feature in your photos. Depending on travel time between locations, and whether the family formals come before or after the ceremony, we suggest a ceremony start time 2-2.5 hours before sunset. 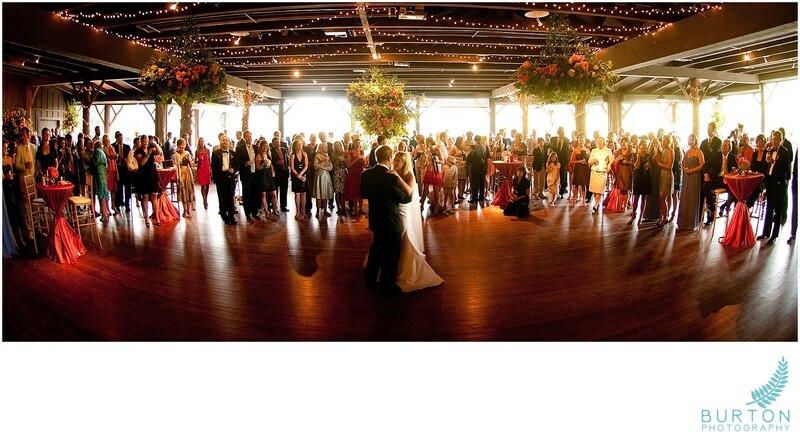 We’ll photograph the reception as it unfolds, first dance, toasts, cake cutting, etc. This sounds like a little thing, but we need to eat when the bride and groom eats. It’s the ONLY “down” time we’ll have in a very physically demanding day (we need fuel to keep working hard through the last dance and grand exit). When you have finished eating, so have we, and we’re back at work. If there’s the opportunity for some sunset or nighttime portraits, we’d love to steal the two of you away for a quick 10 minutes so it’s good to consider that possibility when planning the reception events. Again, it’s all about timing! Each wedding day is unique and we love having the opportunity to help create the smoothest, stress-free timeline possible all while considering the opportunity to create the BEST wedding photography for you.